If your dream is a service in the special forces, be prepared to undergo a rigorous selection. The candidate requires almost ideal characteristics, physical and moral condition. Are you ready? The primary selection. Preference is given to candidates presented by officers, warrant officers and cadets of military schools. 97% of posts in the special forces officer and only 3% is intended for warrant officers. Therefore, in order to have a real opportunity to get into special forces, you need to be an officer or at least an ensign. During initial selection, pay attention to education of the candidate. Be SF be easier if you have a higher education. Getting recommendations. 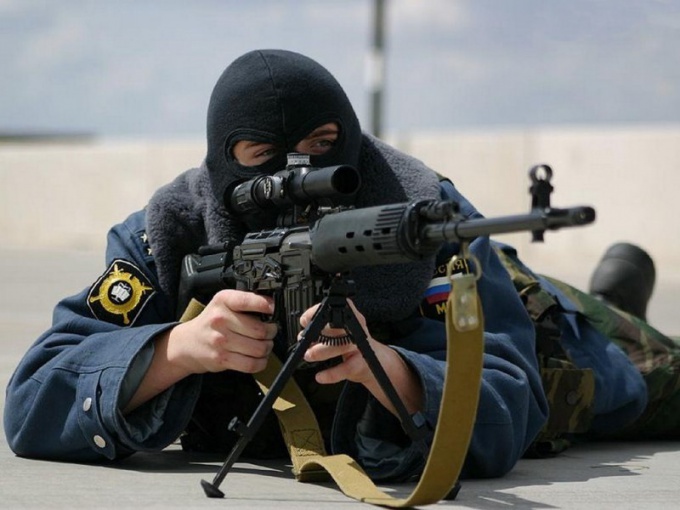 To qualify to work in special forces, you must obtain the recommendation of the incumbent SPC, as well as "alpha" or "Vympel". The physical testing. The selection of candidates special attention is paid to their physiques. The standards are as follows: growth from 175 cm, age not more than 28 years. Physical testing for employees of different departments of different intensity, but in any case, takes place in two stages. First stage: delivery standards for physical training. Second step: sparring hand-to-hand combat. Is a result of profiling at the level of the next of kin. Psychological examination. For candidates who passed the previous stages, the survey is conducted by a psychologist. Due to the special test identifies the characteristics of the personality of the candidate, his character, temperament, moral character and other personal characteristics. A full medical examination. As a result of thorough examination tests the ability of tolerance to airborne training. Mandatory polygraph test. The main task of this stage is to identify "dark spots" in the biography, what the candidate is deliberately holding out on you. So be prepared to answer questions about your addiction to alcohol, drugs and other harmful habits, connections with the underworld, antisocial tendencies, corruption motives, etc. The interview with relatives. 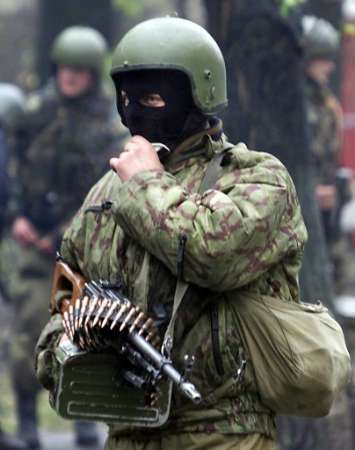 According to the interview results, the relatives must give written consent on the candidate's enrollment in the special forces. Credited applicants who have successfully passed all stages of selection. Today, riot police used not only for football matches and rallies, but in all events. So for candidates in the detachment of special police impose strict requirements. It must be a male aged 18 to 35 years, past service in the military forces of the Russian Federation, education not below an average, having excellent characteristics of the army or of the former work, in perfect health, no criminal record and police. If you meet the above requirements, we have all chances to enter the riot. First, contact the HR Department of your police Department and inquire about the entrance to the riot police. There you more accurately explain all the rules of admission to the service. Enrollment is on a voluntary or contractual basis and on different terms of service. If you fit the criteria, the personnel Department issued direction to the medical Commission at the place of residence and the date of the exam course in physical training. 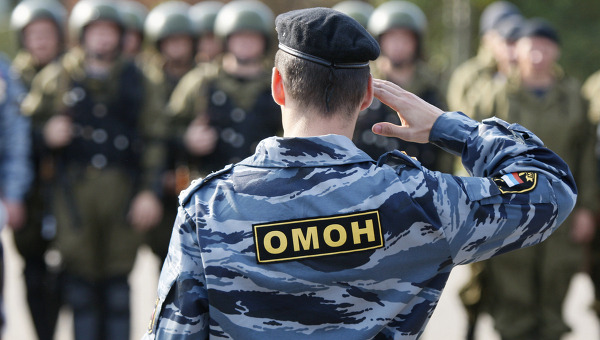 The standard physical readiness of the candidate to serve in the OMON are: push-UPS the push-up position — 10 times the drill press to 10 times pull-UPS — 10 times, hand to hand combat in the PPE — 2 rounds of 2 minutes with one opponent. Enter the ranks of the riot police is always on a competitive basis. The last stage of admission is the interview with the psychologist and the employee of the employment service. This conversation will allow you to know in detail your features of character, temperament and willingness to work. Should the Commission make a positive impression and don't be shy to tell all the most important aspects of life that are positively affected enrollment for service in the detachment of militia of special importance.